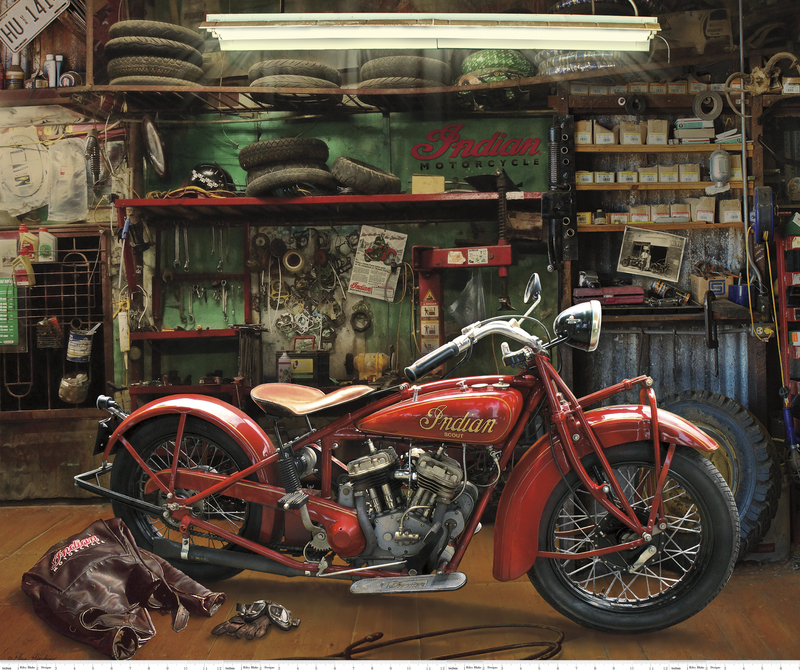 Riley Blake Designs, Indian Motorcycle®. 100% cotton, digitally printed panel pattern PD7390-SCOUT, Indian® Scout® Panel. Actual Size is 43"x36".